Canada’s top uranium producer has a significant new discovery nearby to one of its largest existing mines. 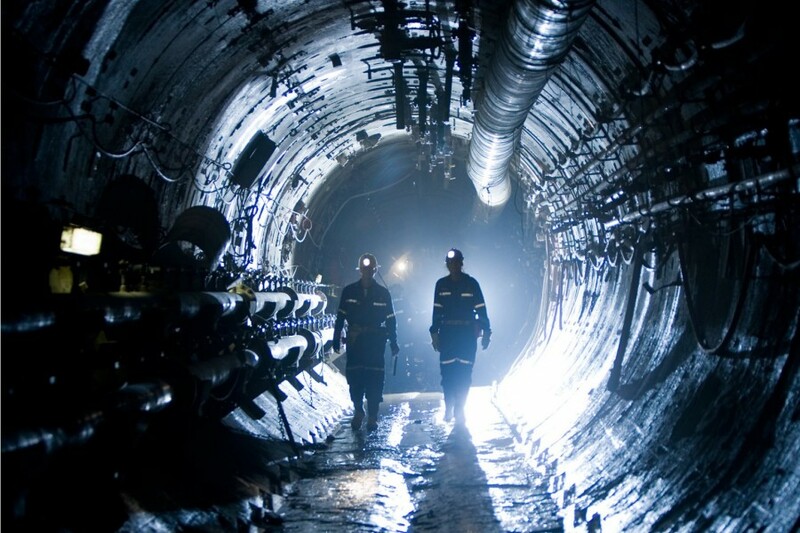 Cameco Corporation revealed in its quarterly MDA filing on SEDAR Friday initial figures for the Fox Lake deposit at the Read Lake project in Saskatchewan’s Athabasca Basin, which has seen continuous drilling since 2008. Cameco’s interest in the project is 78%, meaning Fox Lake is roughly 68 million pounds U3O8 overall. This is based on about 387,000 tonnes at 8% U3O8. Fox Lake could grow as Cameco is likely spending more money on the project than anything else in its exploration portfolio. “We plan to spend about $36 million on 24 projects in Canada and Australia, the majority of which are at drill target stage. 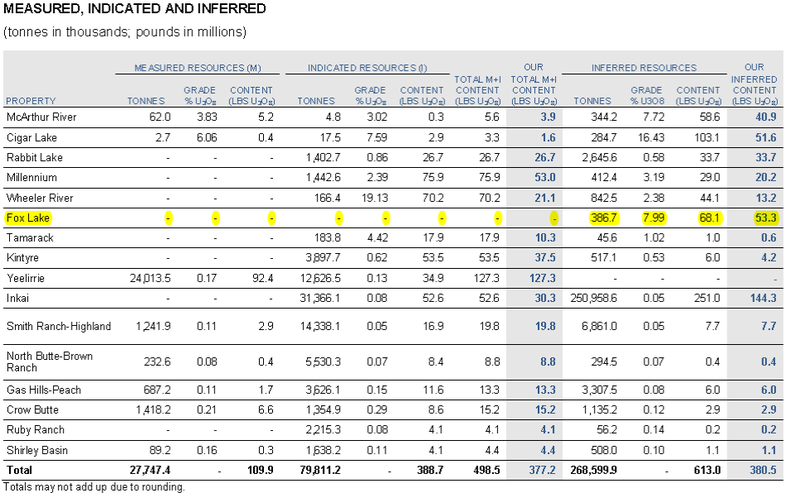 Throughout its portfolio, Cameco’s Measured and Indicated mineral resources stand at 377 million pounds U3O8, from 379 million pounds the prior year. Inferred resources are 380 million pounds, up 68 million pounds from the prior year, largely due to Fox Lake. 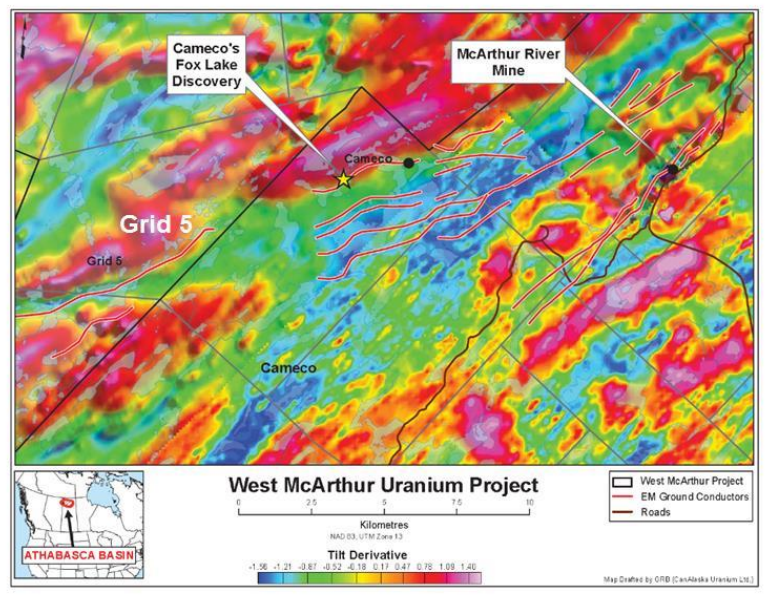 Micro-cap explorer CanAlaska Uranium (TSXV:CVV) owns the adjacent West McArthur property, after buying out former partner Mitsubishi’s interest in January. The Fox Lake conductor trends onto CanAlaska’s property at Grid 5, according to CanAlaska CEO Peter Dasler. Dasler hopes uranium mineralization extends along the conductor or originates between the Grid 5 and Fox conductors. 2012 drillingat West McArthur identified a large alteration system that hasn’t yet been followed up on. CanAlaska is looking for a partner to help explore the property. At the 2016 Vancouver Resource Investment Conference, Dasler spoke to CEO.CA’s Carter Smith about the outlook for CanAlaska. Watch. Always due your own due diligence and talk to a licensed investment advisor prior to buying or selling any security. Read CanAlaska’s SEDAR profile for important risk disclosures. This is not investment or professional advice of any kind.